Firearms, ammunition and rifle scopes have become more advanced over the last few years allowing for the harvesting of game at longer distances than previously thought possible. 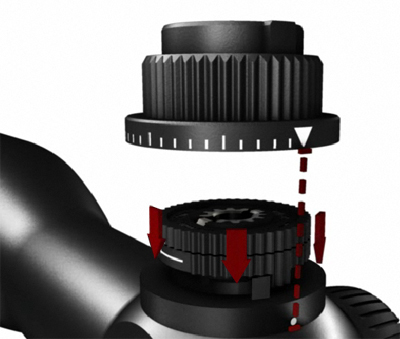 The Ballistic Turret (BT) series of rifle scopes from SWAROVSKI OPTIK is one such major advancement. 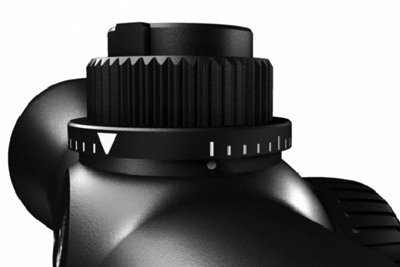 The ballistic turret gives the hunter the means to set a zero distance plus 3 more easy to set, see and use down range distance settings of your choosing – 4 clearly marked settings. Once set up, you simply turn the turret a few clicks up to the appropriate downrange distance desired so you can hold the crosshair precisely where you want the bullet to hit. 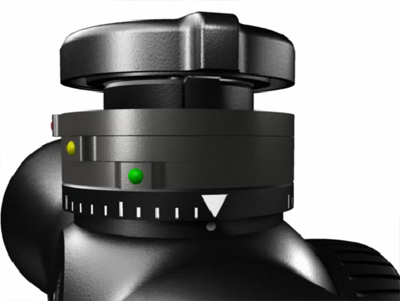 To get back to your zero setting, simply turn the turret back where it will automatically stop at your pre-set zero setting. 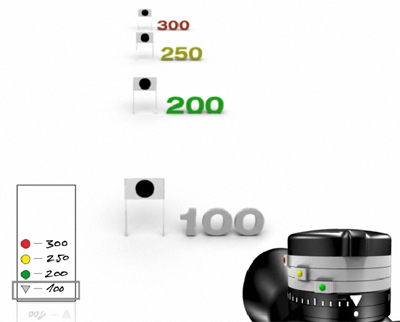 The shooter will still have to accurately determine distance to the target (as with a laser range finder), account for wind when necessary, and keep in mind the limitations of the cartridge being used with the game being hunted. The following information shows you short step-by-step instructions to set up your own ballistic turret. 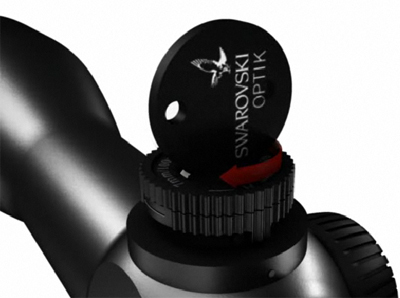 At Swarovski Optic you will find the Ballistic Program and detailed instructions on how to use it. 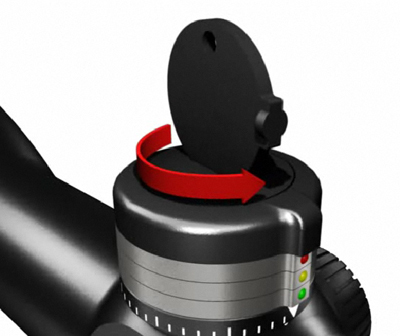 You can mount and accurately adjust your ballistic turret to your firearm in just a few steps. In addition to the 4 marked distances, there are additional distance settings available. A specifically-developed ballistics program calculates for you the values that you need (number of clicks) for your desired distances. easy, even in low light conditions. 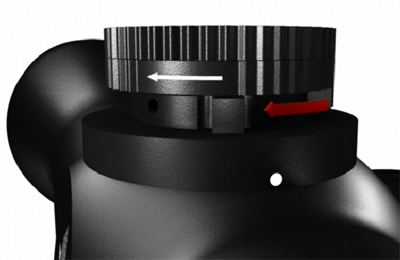 Step 1: Unscrew the cap of the ballistic turret using the keysupplied or an adequate coin. 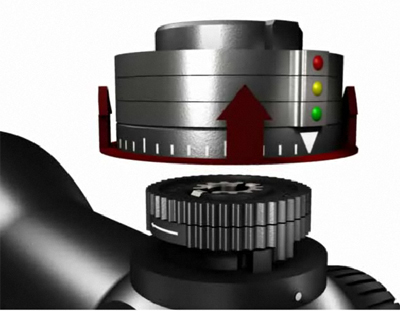 Step 2: Use the graduated dial by pulling upwards. Step 3: You will now have the 5 removable parts in front of you. All other parts are affixed to the rifle scope. 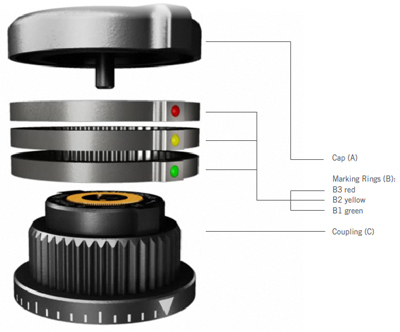 stops as shown in figure 02.
the coupling will always stop at this zero setting when the turret is turned clockwise. in a counterclockwise direction all the way to the end stop. Now turn the coupling back again to the end stop. Calculator on our web site, by sighting in at the desireddown range distance or by calling customer service at (877) 741-5532.
ring) down range distances can be determined in thesame way as you made them in section five. 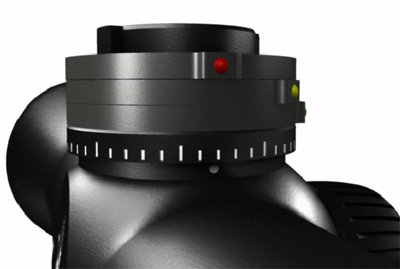 Step 7: Now turn the entire turret in a clockwise direction all the way to the end stop at the zero setting. cap can be screwed on with the key that was supplied.Your ballistic turret is now ready for use. 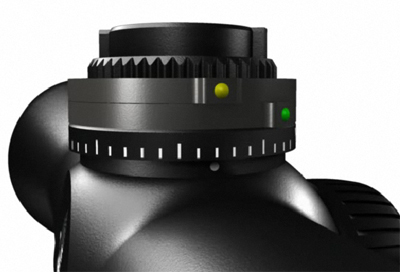 turret to the yellow setting, hold the crosshair whereyou want the bullet to hit and shoot. distance as total clicks from the 1st or zero setting. will surely hit your target faster. your 1st setting. The 2nd setting at 200 yards requires you come up 8 clicks to set the green marking ring. of 32 clicks (8+11+13=32) to get to the 400 yard or red setting.